Fitness freaks often look forward to building an athletic body with great strength which means increased energy level and better endurance Strength and power training help in building athletic body and assure improved performance. Everyone desires to run faster, workout longer and harder and perform movements better than everyone else, especially when in the case of sports. There are specific exercises which help in building athletic body muscles and assure better sports performance. Doing these workouts regularly is certainly going to bring a difference in sports performance. Start by lying on the floor on your back. 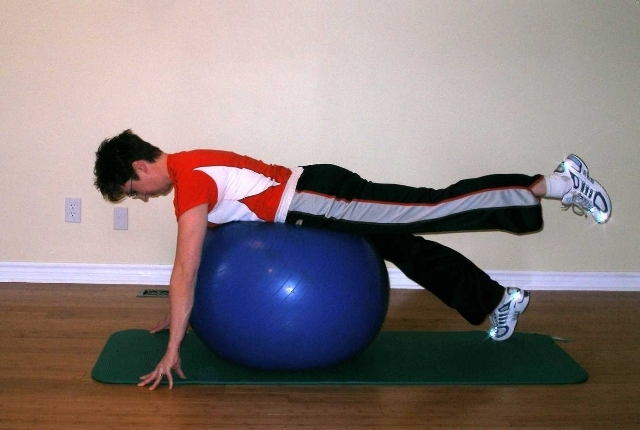 You will place your calves on a stability ball. Now, move your arms to the sides so that you are able to support and also balance. Start pushing your hips up to make a straight line from knees to the shoulders. Your hips should not sag as you slowly roll the ball close to the hips as you bend your hips. You will pull your hips closer to this. This exercise helps to exercise your core muscles, glutes, and hamstrings which mean greater strength and power. Squats target all lower body muscles and tone your hips, thighs and build strength in your foot muscles. Athletes need power in their lower body and hence squats is always an integral part of their exercise routine. Squats tone the lower back muscles as well which helps in reducing the risk of injuries. Start by standing straight and keeping your feet, shoulder distance apart. Your hands will be on your hips. Start lowering your body by bending your knees. Move just as you would sit in a chair and just as you reach the sitting position, you need to move up. This will be one repetition. Do 20 such counts at a stretch. This is an interesting exercise which is different from your regular gym workout. This workout helps in building muscles, increases endurance level and brings in a massive strength of the grips. Grip strength is essential for bodybuilders and wrestlers who need good grip strength for several exercises. 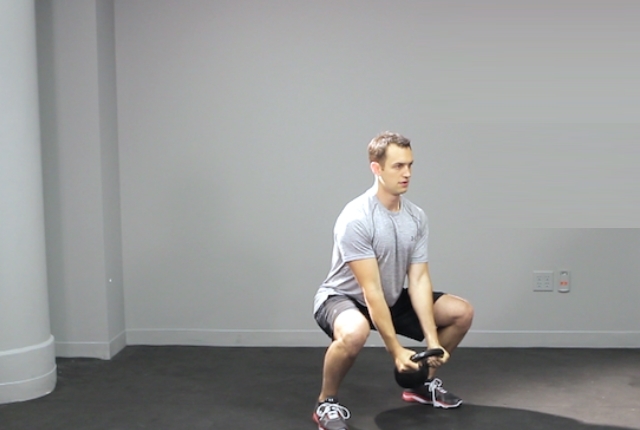 For this exercise, you need to carry a set of dumbbells or kettlebells. If these are not available, you can carry anything which is heavy like buckets of sand or sandbags. You need to carry this for at least 100 yards. 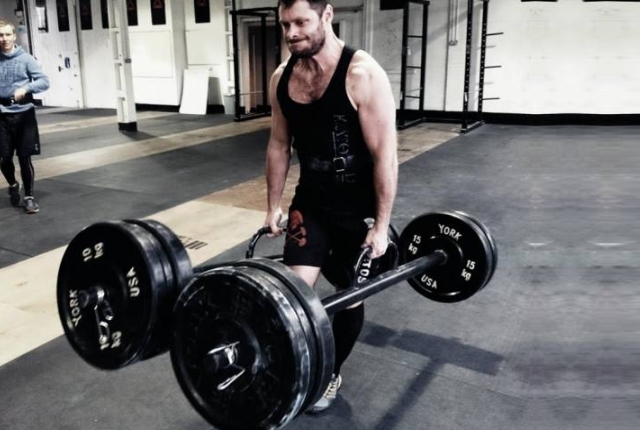 This is not easy as it might read and helps in building muscle strength, grip, and power. This exercise works on the lower and upper back muscles, shoulders, glutes, hamstrings and also quads. Start by holding a kettlebell in each hand. Hold this just in front of the chest. You will stand straight as you keep your feet hip distance apart. Now, start pushing your hips back. You will then lower your body into a squat position till you find your thighs are parallel to the floor. You will press this kettlebell just above your head as you slowly stand back up. You can return the kettlebell to its original position. You need to repeat this exercise at least 10 times. For this workout, you will start by lying down on your back. Your upper legs shall be perpendicular to the floor. Your knees shall be bent at an angle of 90 degrees. You will not change the bent in the knees or hips as you start lowering your legs towards the left side of the body. As you move your shoulders shall be in good contact with the floor. Get back to the start position and repeat the workout. You will repeat the routine on the right side. This will be one repetition. If you wish to challenge yourself more, you can keep your legs straight. This is a great strength and power building workout. You can do this workout three times in a week. To build endurance and power you need to work against resistance. Normal treadmill running will help you weight loss and building stamina for marathon running but inclined runs or uphill hill run helps in building power in your thighs. 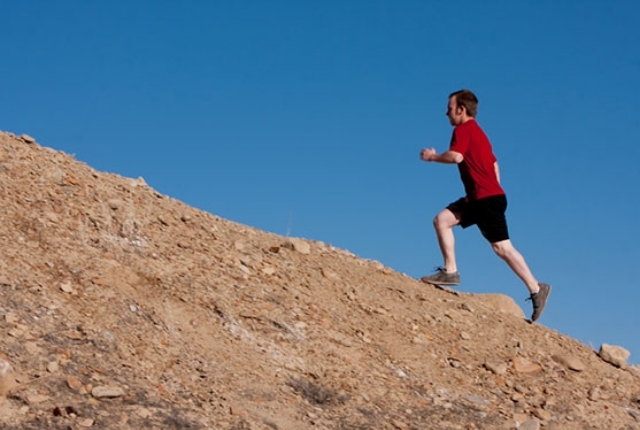 You can run in any uphill road or an inclined treadmill. The trick is to keep changing your pace so that your body gets a new surprise every time which means better workout. Start by slow warm up and then keep changing your pace throughout the run. Try fast running for 30 seconds and go slow for a minute. You can again run as fast as you can for 15 seconds and go slow for next minute. You need to keep changing your pace for best results.